Don’t anti-bacterial products and disinfectants contain biocides that can harm people and the environment? Biocides are an important part of many cleaning products, but their role and effects can be confusing. Here's what's going on. Controlling bacteria and other germs is one of the most important hygiene tasks in a home, and the products used to do that often contain biocides. These sound pretty scary, but they're carefully regulated and even occur in nature. 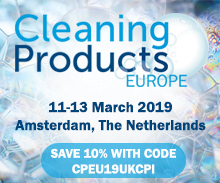 A biocide is defined by European legislation as a chemical substance or microorganism intended to destroy, deter, render harmless, or exert a controlling effect on any harmful organism by chemical or biological means. 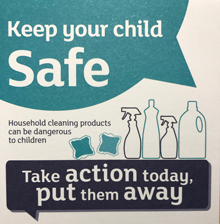 Like all cleaning products, those that use a biocide to help you control bacteria and other germs are carefully formulated and risk assessed to ensure they are safe for you and for the environment when you use them. The Biocidal Products Regulation, which controls all kinds of products from wood preservatives to fly spray, also requires all ingredients that are sold for their ability to control germs to be registered with a full safety dossier. Anti-bacterial products and disinfectants are there to help protect your health by preventing the spread of germs, but each and every product that uses one of these ingredients must also be registered, complete with its own full safety assessment. It must also have a full testing report to show it does what it says it does. 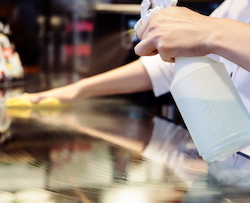 Substances that can function as biocides can be hazardous, but some are common in the kitchen, including salt, vinegar and alcohol. Salt has been used to preserve food by controlling microbes for thousands of years; vinegar can kill some kinds of bacteria (though not enough to be a disinfectant) and pure alcohol is a very powerful germ killer. If these were sold for their germ-killing properties, and not just to put on your food, they would have to be registered in just the same way. Nature also abounds with biocides: plants, trees and flowers make them to ward off things that can harm them, whether those are microbes such as fungi or insects and animals. Pyrethrum, which is produced by chrysanthemums, is a potent insecticide. If trees didn’t produce biocides they would rot in the ground! The human body also makes its own biocides: the immune system manufactures hypochlorite (the germ-killing ingredient in household bleach) and peroxide to kill invading germs.